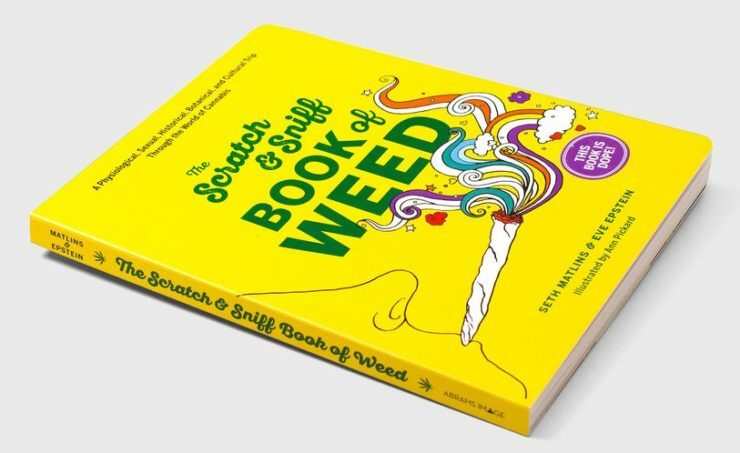 Of Course That's A Thing: The Scratch & Sniff Book of Weed | OhGizmo! By Randy Donack on 11/13/17 • Leave a comment! If you’ve ever wanted to smell the Devil’s Herb, but were afraid it would ruin your life, now you can buy a scratch and sniff book devoted to the scent of Mary Jane herself without worrying about going to jail forever. Of course, I’m sure that none of our readers have ever seen a Marijuana up close, but let me tell you it’s dangerous stuff. The book itself contains 20 different scratch and sniff pads and details the history of Marijuana. Other than just being a book that smells like your uncle’s place, it also goes in-depth into the science of getting the munchies and why Marijuana seems to make music more enjoyable. It even describes different strains of the Chronic. The book can be pre-ordered now for $18 and will release on 11/18. And just in time for the holiday’s, so it’d make a great gift for that cousin that always carries around that Visine, or your friend that always needs five bucks for Taco Bell.